The eight-story building, which meets passive house certification, is the second phase of Beach Green Dunes. Beach Green Dunes II in Far Rockaway is L+M’s first building designed and built to Passive House standards. L+M and partners have joined with Campaign Against Hunger to open a café in Beach Green Dunes II’s 3,000-square-foot ground-floor retail space. The 100% affordable, 127-unit development includes numerous resiliency features, including a closed loop geothermal system, solar panels and bioswale gardens. 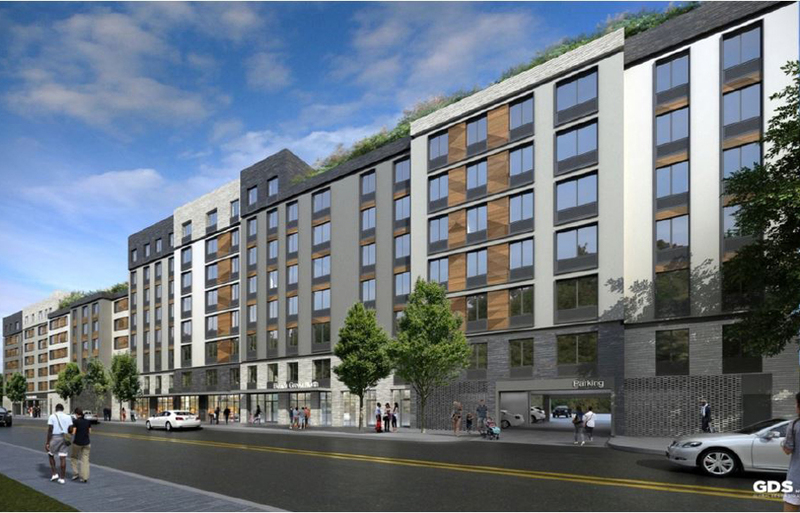 L+M's Beach Green Dunes II is a 127-unit project that will begin construction this year.